The breeze was slapping on my face, stretching as much skin as possible, until the matatu ground to a halt in what looked like a small market. It didn’t take long for the fast-food peddlers to shove in my face sticks of what looked like grilled meat that stayed too long in the fire, which I wouldn’t have minded eating until Dilman reminded me that we were only thirty minutes from Jinja, and that I could down all the burnt meat I want by the side of the Nile. It’s all about ambience. Fair enough, we arrived in Jinja in no less than twenty minutes—thanks to the driver who seemed to think the world would end if he slowed down to 100 kph. Well, the world slowed down all right, for even if Jinja was a former industrial capital during the pre-Amin period, it was a laid-back touristy town that reminded me so much of Siem Reap in Cambodia and Pokhara in Nepal. Old Indian-style buildings dot the small town, which lend it a charming and almost nostalgic feel. A taste of India in Uganda. I was getting a bit jittery and needed a sugar high, so we went to the nearest café, Source Café, which unsurprisingly was brimming of tourists because apparently it’s highly recommended by our friends in Lonely Planet. And indeed it fulfilled my sugar craving with a big glass of banana smoothie and a cinnamon muffin, without feeling like I was ripped off. So with my energy levels skyrocketing again, we wasted no time and took a boda-boda to the Source of the Nile. We paid entrance fees— 2,000 shillings (70 cents) for Dilman as he is a local, and 10,000 shillings (3.5 USD) for me because I spoke. Next time someone should remind me to keep my mouth shut, because I could easily pass for a Ugandan (yes, some women in Uganda are light-skinned), only if they don’t hear me talk. Anyway, since we came on a weekday, the place was mostly deserted except for the park, shop, restaurant keepers, and a couple of tour guides waiting for customers to fall from the sky. In fact, one (Richard) followed us around and offered us an hour’s boat ride for 90,000 shillings (around 32 USD) to see the “Source.” Now that wasn’t really part of the plan. All I wanted was to see the River Nile and Lake Victoria, take some photos, eat, and get back to Kampala. But Richard already had a plan for us. Of course, I couldn’t go on a boat ride in an empty stomach, so we had to eat again in a restaurant that didn’t have everything on its menu but fried tilapia, and there was no rice. There wasn’t even burnt meat on sticks that I was looking forward to eating. I was about to start walking out until I saw how beautiful the view was from that restaurant. The lake looked so calm with birds hovering about, which made me more excited to go on that ride. A view from the restaurant. Before we were off to our cruise, we had to pay respect (not compulsory) to the late great Mahatma Gandhi, whose bust stood shining against the Ugandan sun at the side of the river. In honor of his death wish, his ashes were scattered in the world’s longest river (the Nile). So off we cruised the Nile River, where water pours in heavy currents out of Lake Victoria. We came around what used to be the Ripon Falls, a nature’s wonder that submerged after the building of a dam. As I was talking about how these dams destroy nature and such, Richard was spitting out names of birds like there’s no tomorrow. 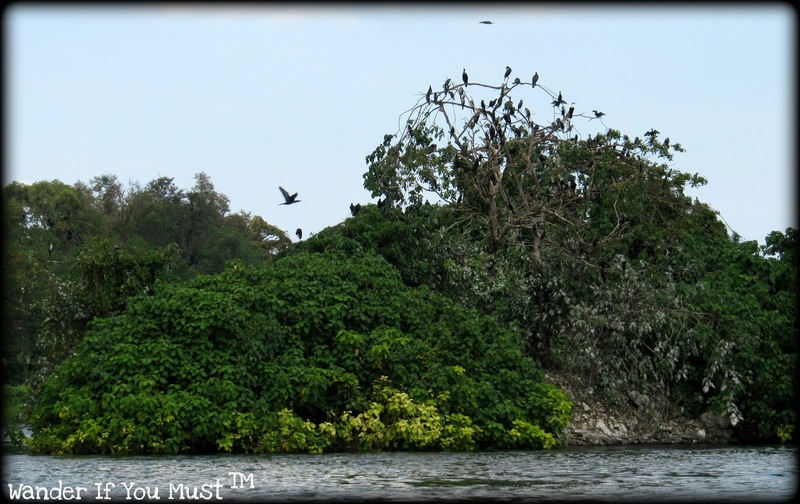 Uganda is a bird watcher’s paradise, and Dilman was so fascinated he was obsessed in taking bird photos until we came to an island full of birds and glimmering in whitish bird droppings. You can even smell it from afar. 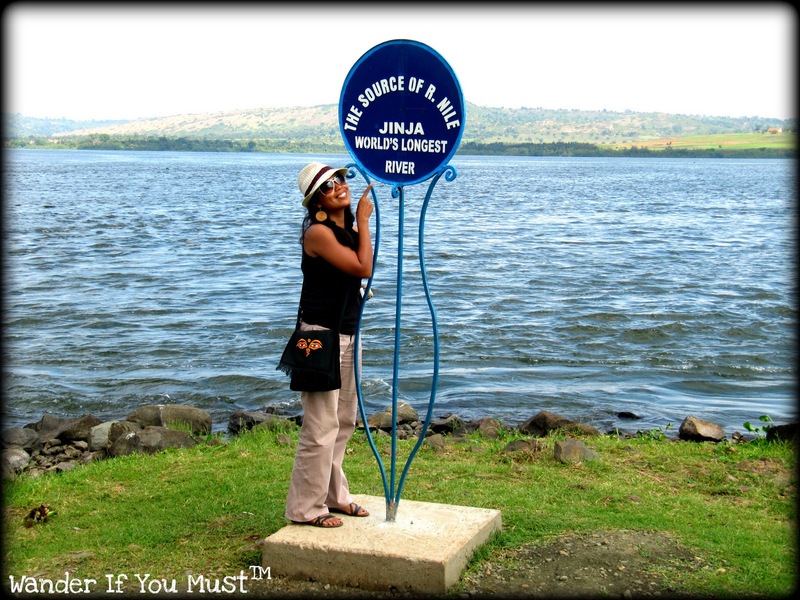 We stopped at a small island where the explorer John Speke erected a marker indicating the spot where he believed the Nile started, and where Lake Victoria meets River Nile. Apparently, the Nile River runs north from Uganda and up through Egypt and empties into the Mediterranean Sea. Now my little brain refuses to fathom that because in the map, Egypt is north of Uganda, so should it be that the Nile starts in Egypt and goes down into Uganda and empties into Lake Victoria, right? Quite confusing really. Who says it’s in Egypt? 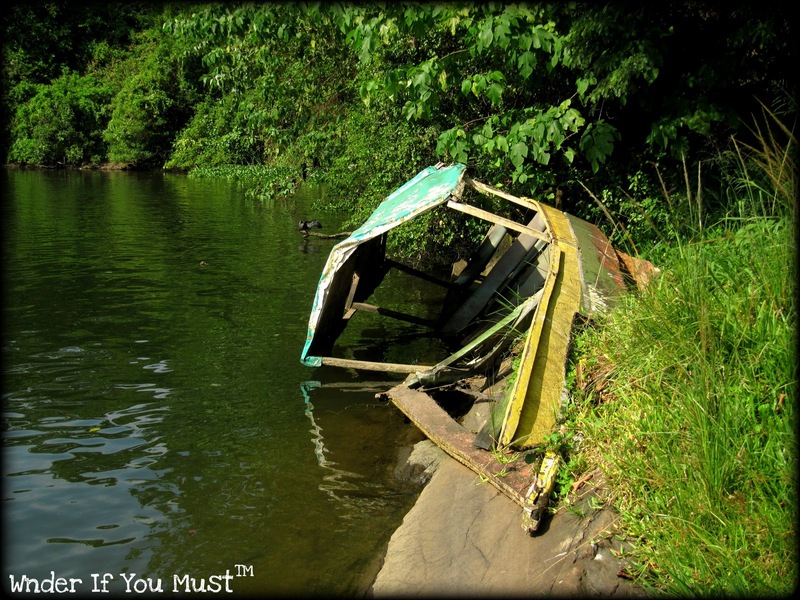 One hour was up, and we were just about docking when Richard pointed out a rotting boat at the bank of the river. It was supposed to be the boat that Prince Charles and Princess Camilla took to see the “Source.” Interesting. But shouldn’t it be in a museum instead? To end our day, we went back to Jinja town, bought a few souvenirs and took a matatu back to Kampala. We pulled off near Mabira forest, one of the few rainforests in Uganda, a portion of which is now threatened to be given away to sugar companies for sugarcane plantations. As President Museveni said, “You can’t put trees in your tea.” Quite a character. 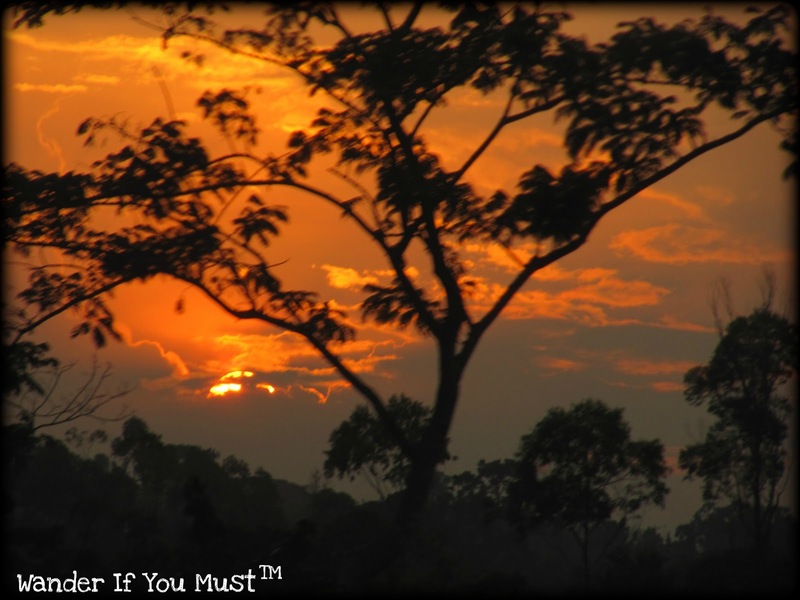 The rest of the trip to Kampala was uneventful except for the wonderful sunset that wrapped the land in a golden mist. I knew then that I found my own little “source” of peace. I always associate Uganda with the former dictator Idi Amin Dada, warlords, gun running – but thanks to your series, I've learned so much about Uganda that presents itself to me as a very interesting country and has a rich history and pleasant people. Oh yes, Marky. And they have things like bungee jumping and wild-water rafting as well, on top of the safaris, of course. And if you want to see gorillas in the wild, it's the place to go! 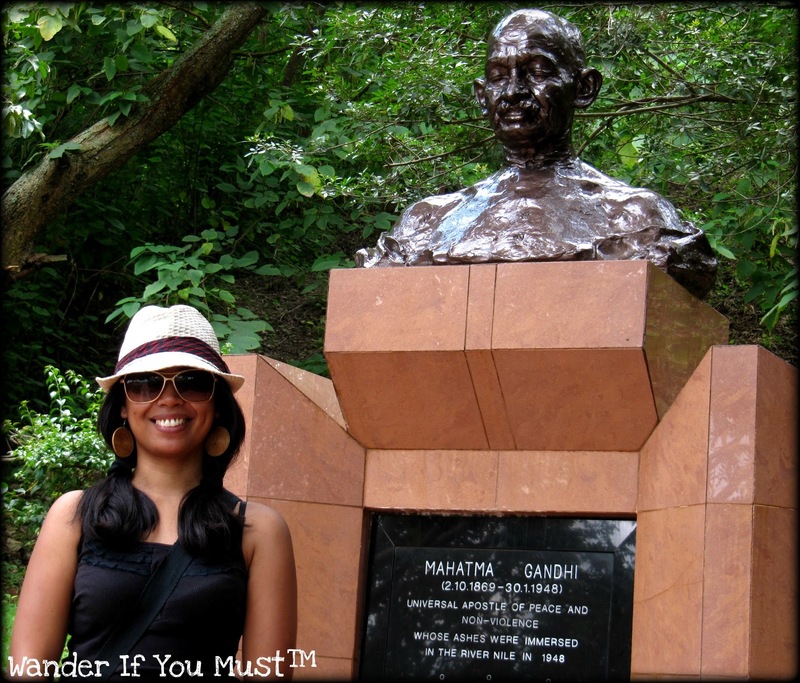 You forgot to mention that Gandhi's statue has a strange resemblance to Museveni! Funny, isn't it? Well, I should see Museveni in person first to make the connection. 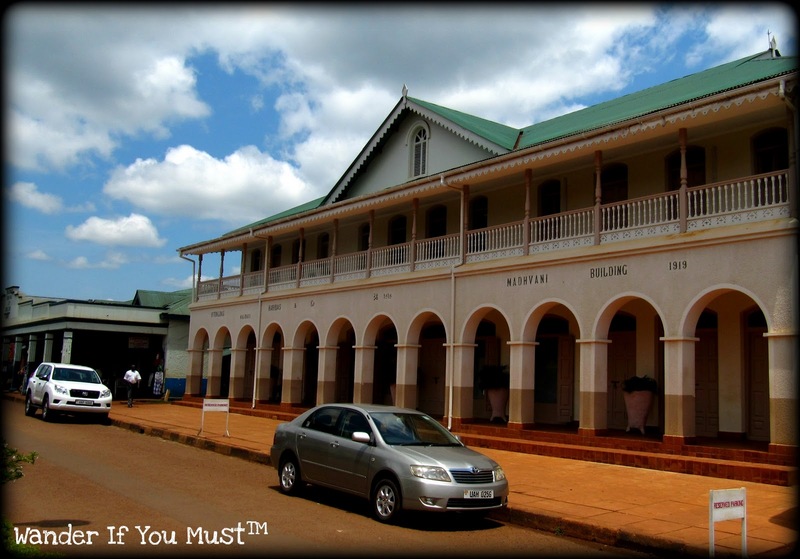 "Interesting account of your trip, peppered the story with striking details. Never thought that the Nile emanates from Lake Victoria. No wonder it's the longest in the world. That's a loooong way (I'm a frustrated cartographer so I have an idea). And wow, first time to know that Gandhi's ashes were strewn in the Nile. I would've thought it'd be in the Ganges! 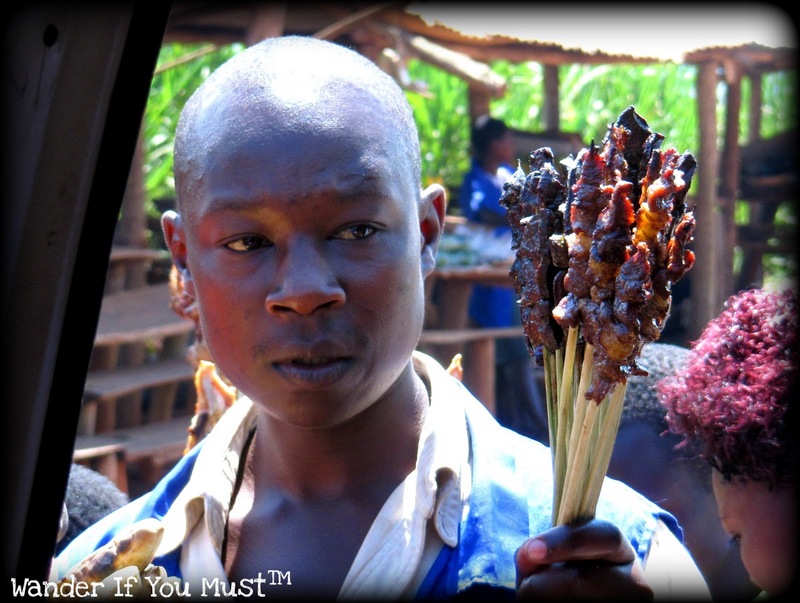 "Those skewered things look burnt by the Ugandan sun (sorry can't resist that one, hehe)." AJ, it's a long way indeed, about 6650 kilometers. I wonder how long it will take for one to cruise upstream to Egypt. Hmmm . . .
Hahahaha, AJ! It took me so long to get the punchline. *slaps forehead* Yes, I was in denial (in my thick Bisaya accent). Hahaha! Glad you're helping change perceptions of Uganda. There's a lovely film out called "War Dance" about kids in Uganda. It's great.Some clips on Youtube. There's so many misconceptions about Africa, Jim, that I even find myself having, despite my being here for a good 3 years. Great job in Uganda ..i hope you had a wonderful trip and great snap with my "father of nation" Gandhi hehe !! Uganda made it to my bucket list when I watched the Last King of Scotland. Hope we make it there someday, and maybe meet you if you're still around the continent. Lol. Burnt meat on skewers made me oddly famished. @Pinay Travel Junkie: You have got to be the coolest mom I've ever come across!I would love to meet you when you visit this part of the world, hopefully with your cute little angel. I've browsed through your blog (will read later, after work), and I'm in awe. You rock! 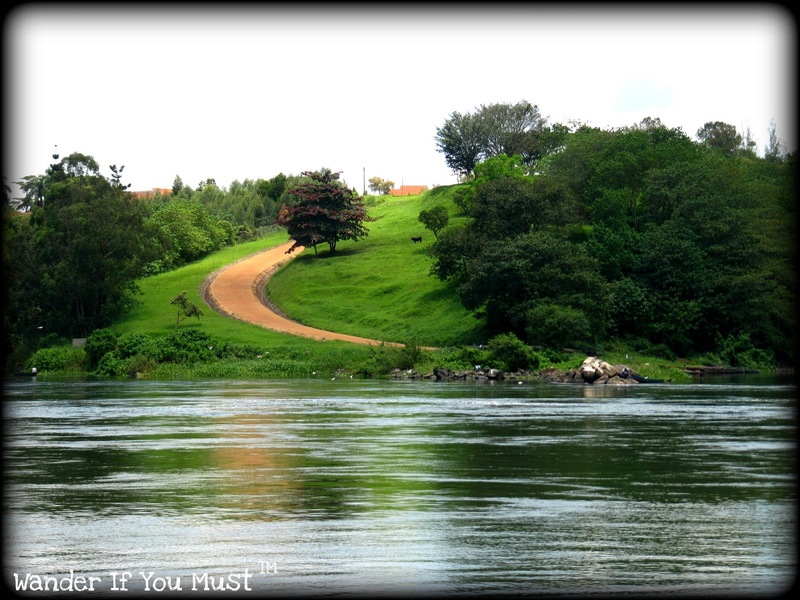 Reading your series has started to put beautiful images of Uganda in my consciousness which suddenly made me google its exact location to see whether I could include it in our future trip to Africa. Glad to know it is also bordered by Kenya, one of my dream destinations there. @Jenn: Glad to know I am, as Jim puts it, changing perceptions about Uganda (and hopefully, about Africa in general). Thanks for your comment. Great post and very entertaining! Well written article with incredible photos to top it off. BTW, thanks for the info about Uganda. I admit i was enlightened with this post – Thank you!